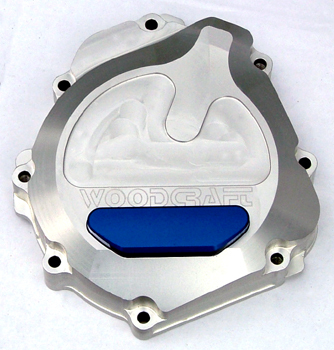 Woodcraft Engine Covers available at MD Racing - one stop performance shop for your motorcycle needs on the race track and on the street. 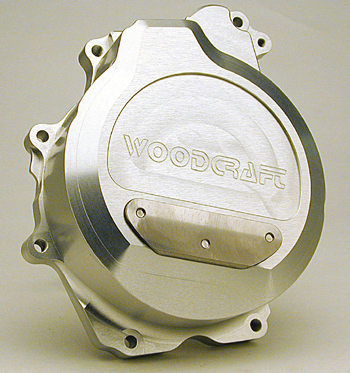 DURABLE: Woodcraft’s 2 piece covers have a large stainless skid pad in the succeptible damage area to greatly increase their durability. The stainless skid pad is far more abrasion resistant than the aluminum, and holds up extremely well in a crash. 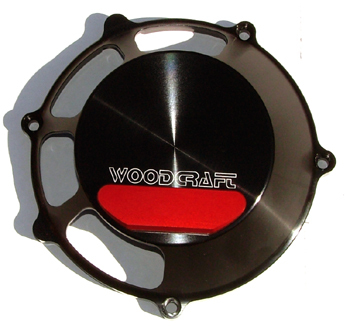 REPAIRABLE & MAINTENANCE FRIENDLY: Not only is the skid pad replaceable, but Woodcraft’s exclusive internal bolting ensures that a crash will not leave you drilling out mounting bolts that have been ground smooth. LIGHTWEIGHT: Due to the abrasion resistance of the stainless steel, we were able to spend extra time on these covers to make them super-light. 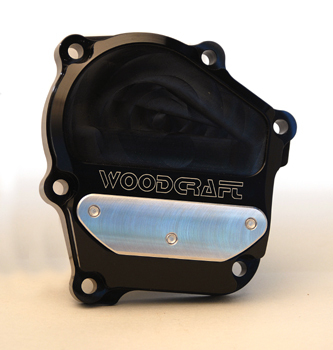 Note: All engine covers come with stainless steel skid plates ( unless other choice is made ) and gaskets for mounting. 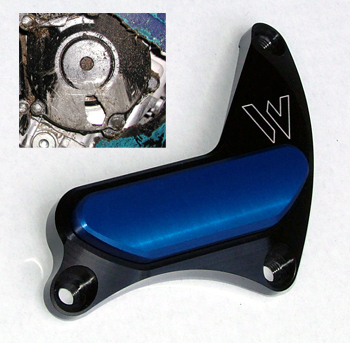 All the details were covered, right down to O-ring sealed bolting that keeps hardware from getting damaged in a crash .